The Rio Serrano Hotel is a family-owned business, which began life as a hostel in 2001. It has since grown and been renovated markedly into the fine 95 room property it is today. 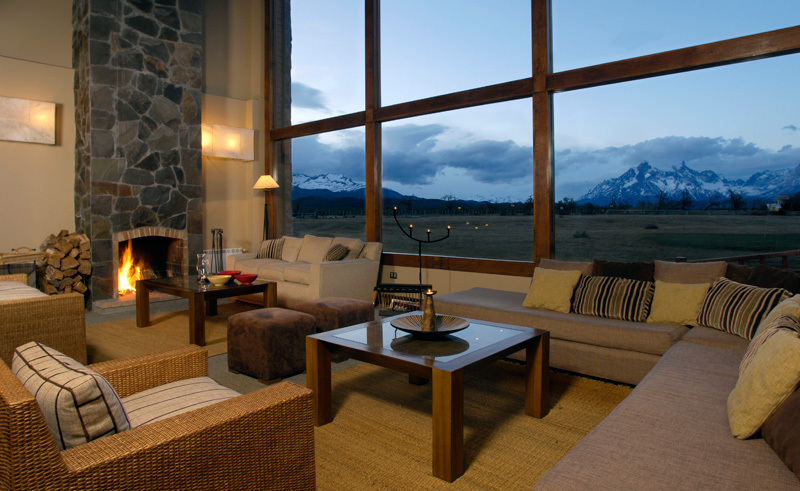 Its location, inside the Torres del Paine National Park, but just 2.5 miles from the Serrano entrance, makes it ideally positioned for short term visits to the area. The hotel enjoys jaw dropping views over the surrounding landscapes and plenty of nearby trails for guests to roam. It is built with the environment in mind and a sustainable approach is seen as a key part of the managements’ success. With an on-site restaurant – offering a number of regional specialities, a cosy communal lounge/bar – with large picture windows, and an excellent range of optional activities on offer, the Rio Serrano has everything you need to explore or relax to your heart’s desire. All guestrooms come with their own private bathroom, comfy beds and free Wi-Fi.